Your DNA sequencing is your genetic code and plays a foundational role in your health and quality of life. The specific sequencing of your DNA is subject to errors that could lead to disease. 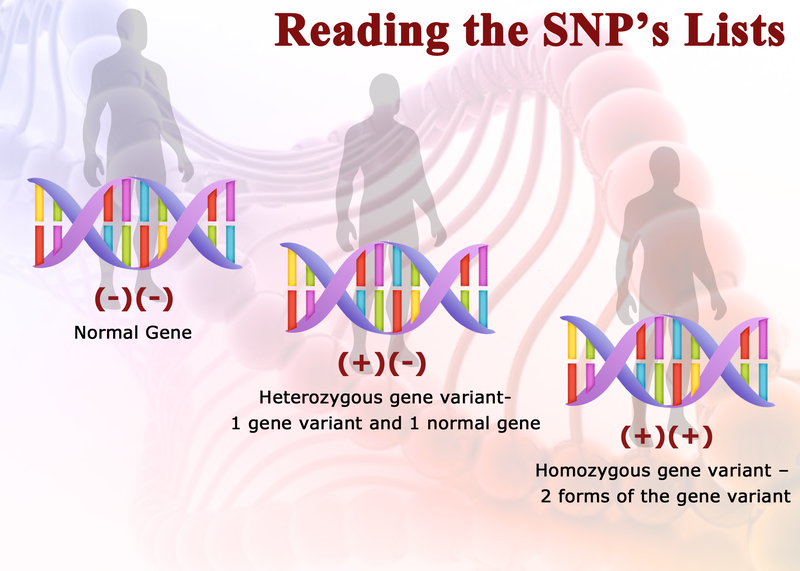 Some of these inborn errors are called SNPs (single nucleotide polymorphisms) which are single changes in the DNA code. Some of these SNPs are benign while others are major risk factors that can dramatically alter biological function. Many of these SNPs play a very critical role in the methylation cycle. Methylation is a critical process that happens trillions of times in every cell each minute. 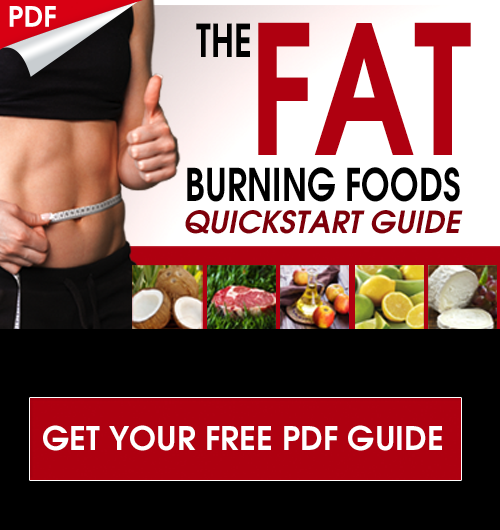 It is one of the most essential metabolic functions of the body and is dependent upon a variety of enzymes. As a clinician, I get so much interesting data from this test. It is one of the few that I felt like I had to do on myself because I wanted to see where my genetic challenges exist. I believe that genetic testing is the future of health care and I believe tests like this will be extremely high demand by the year 2020. 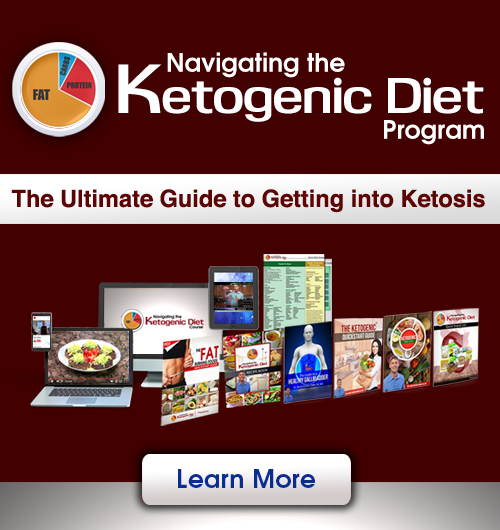 I have always been ahead of the curve and so I love analyzing this information and providing health strategies to help someone overcome their unique genetic challenges. This is the key vitamin D receptor that binds 1, 25 di-hydroxy vitamin D to activate the key signaling molecule. Vitamin D has an important role in a 3rd of the human genome. This includes immune activation, coordination and balance. It also plays an essential role in xenobiotic detoxification, calcium metabolism and brain development. This is an enzyme that transfers a methyl group from betaine to homocysteine which produces methionine. This is considered part of the short-cut through the methylation cycle. This enzyme is found in the liver and kidney and is also involved in the choline oxidation processes. The activity of this gene is strongly affected by stress and may play a role in ADHD symptoms by affecting norepinephrine levels. This has important functions in the cells of the nervous system, liver, kidneys and red blood cells. In the liver it helps to inactivate 2 & 4-hydroxyestradiols and catecholamine hormones prior to bile excretion. COMT has a very important role in the nervous system as it helps to degrade catecholamine neurotransmitters such as dopamine, epinephrine and norepinephrine. There is an association between the ratio of dopamine to epinephrine and norepinephrine and individuals with ADHD. Dopamine levels are also critical in conditions such as Parkinson’s disease. COMT – V158M/H62H can have effects on prefrontal cortex processing and especially with mood and pain tolerance. The homozygous variant is associated with deviations in thought processes common in people with schizophrenia, inhibition of behavior and attention. It is also thought to be a risk factor for bipolar, panic, anxiety, obsessive compulsive disorders, eating disorders and ADHD. Individuals with a homozygous mutation are unable to effectively metabolize dopamine, epi and norepi effectively. This sluggish breakdown can be a good effect as it preserves methyl donars in their brain chemistry. However, these individuals have to be careful with methyl donor supplementation as it is known to drive up these excitatory neurotransmitters and lead too hyperactivity, irritability and erratic behavior. This compound functions in the liver and nervous system. Its main role in the liver is to detoxify biological and xenobiotic amines. In the nervous system it degrades neurotransmitters and in particular serotonin. Imbalances in serotonin levels have been associated with depression, aggression, anxiety and OCD behavior. MAO A is inherited with the X chromosome and is considered a dependent trait so it may not show standard inheritance characteristics in males. The X chromosome in males only comes from the mother so the father’s MAO A mutations would not play a role in the son’s MAO status. This is an enzyme that breaks down methionine by converting S-adenosylhomocysteinase (SAH) into homocysteine. This is a key reaction that regulates the methylation of other compounds. Decreased activity of this enzyme leads to lower homocysteine levels. This pathway is key to look at in relation to CBS upregulations. A mutated AHCY may partially mitigate the effects of CBS upregulations and lead to taurine levels remaining moderate rather than elevated. Individuals with a homozygous mutation will most likely benefit from SAMe supplementation. This is which is an enzyme responsible for converting serine and homocysteine into cystothionine. This is the first step of the transsulfuration pathway and it is B6 dependent and a key part of glutathione production. CBS defects are upregulations where the enzyme works too fast which results in low levels of cystathionine and homocysteine and high taurine and ammonia. If there is an NOS mutation along with the CBS it can dramatically elevate ammonia levels. Individuals with a CBS mutation will produce more sulfur end products from the methylation cycle. Those with a homozygous variant will most likely need to limit their intake of sulfur containing foods as they will elevate ammonia levels. This mutation can also affect a key enzyme called G6PDH in an indirect manner. This leads to altered blood sugar metabolism, red blood cell formation and blood vessel stability. This can contribute to easy brusing, bleeding and broken blood vessels. Nutrigenomic expert Dr Amy Yasko recommends that one support their CBS enzyme for at least six weeks before starting methylation supplements. Without normalized transsulfuration the body is unable to produce adequate glutathione. This is the popular enzyme that is responsible for the conversion of 5,10-methylenetetrahydrofolate to 5-methyltetrahydrofolate. This is an important step in the conversion of homocysteine to methionine and uses methyl B12 and methyl folate. There are two key MTHFR polymorphisms – A1298C and C677T. The effect these have on the methylation cycle and overall health are different between the two. C677T SNP’s are associated with elevated homocysteine levels. Elevated homocysteine is a major risk factor for heart disease and neurodegenerative states such as Alzheimer’s disease. A1298C SNP’s do not lead to elevated homocysteine but instead play an important role in neurotransmitter function. The 1298C is important in the conversion of BH2 to BH4 which plays a huge role in mood regulation and addictive behavior. This is methionine synthase and methionine synthase reductase and these work together and are responsible for the regeneration of methyl B12. This is a critical part of converting homocysteine to methionine. MTRR helps to recycle B12 for use by MTR. Mutations in this gene grouping leads to methyl group depletion as the morphed enzyme is using up B12 at a faster rate. Individuals with a heterozygous variant may benefit from supplemental methyl B12 and those with a homozygous most likely will need high doses of methyl B12. Individuals with a homozygous MTR are often low in lithium.Lithium not only plays a role in mood, glutamate control and limiting aggression, but also has been shown to be involved in B12 transport. Many adults as well as individuals who are MTR A2756C + tend to have lower levels of lithium as judged by hair metal analysis (HMT). The NOS enzyme plays an important role in ammonia detoxification within the urea cycle. Those who have a homozygous variant have a reduced activity of this enzyme. NOS mutations will have an additive effect with CBS upregulations. This will lead to dramatically increased ammonia levels which can result in major health issues. In addition, an MTHFR A1298C homozygous gene may put an additional burden on proper urea cycle function. NOS variants will also play a role in the bodies ability to handle oxidative stress. This can lead to mitochondrial dysfunction and accelerated aging and chronic disease development. This is serine hydroxymethyltransferase and is responsible for catalyzing the conversion of glycine to serine. This shifts the emphasis of the methylation cycle towards new DNA synthesis and away from processing homocysteine to methionine. Mutations in this gene can interfere with the fragile balance of the methylation cycle. This can lead to elevations in homocysteine and imbalances in other intermediates in the body. This is a mitochondrial enzyme that is responsible for oxidizing sulfites to sulfates. Sulfites are produced in the transsulfuration cycle and also through the ingestion of sulfur compounds. Sulfites are also used in food processing to reduce the discoloration of light-colored fruits and veggies and to inhibit the growth of microorganisms in fermented foods like wine and dough. They are also commonly used to prevent black spots on shrimp and lobster. They can also be found in certain medications to maintain stability and potency. SUOX gene variants will not be able to process sulfur rich foods and sulfites well and should be on low-sulfur diets. For homozygous individuals they could have extreme reactions including severe asthma attacks. Sulfites can cause chest tightness, nausea, hives and difficulty breathing. This mutation may also be a risk factor for certain types of cancer including leukemia. Even though we are unable to change our genetic code, we can influence how our various genes are expressed. The term “EpiGenetics” refers to how our lifestyle and environment influences our genes. These epigenetic factors include our diet, nutritional status, toxic load, mental perspective and environmental stressors. Epigenetic researchers have demonstrated that certain genes can be over or under expressed in various disease processes as well as with varying environmental influences. The combination of epigenetic understanding along with knowledge of the methylation cycles can help us to make lifestyle and supplement recommendations to optimize genetic expression and overall health. My team has been able to beat all of these other methods when it comes to providing the best educational descriptions behind the tests and superior savings. By using DrJockers.com as your source you will save time and money and know exactly the right tests for you so you can get well quicker with less cost. Additionally, when you order special labs from DrJockers.com you will receive a free email with a summary of your results and lifestyle and supplement recommendations from Dr Jockers himself or a well-qualified team member.